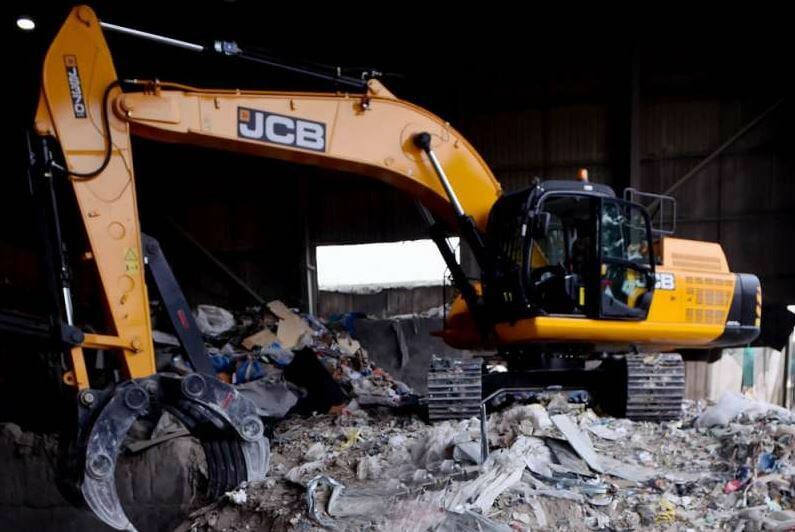 London based waste management firm, Economic Skips purchases JCB JS370 tracked excavator for recycling operation. Economic Skips have recently taken delivery of a new JCB JS370 tracked excavator for use at their Mercury Way site, near Bermondsey, as part of their continuing commitment to supporting the need for a cleaner environment within London by investing in the latest recycling systems. The 37 tonne tracked excavator is the first of it’s kind to be used to carry out the initial processing of waste at the site with a large finger grab. Incoming waste material at the Mercury Way recycling facility often contains blocks and lumps of concrete. 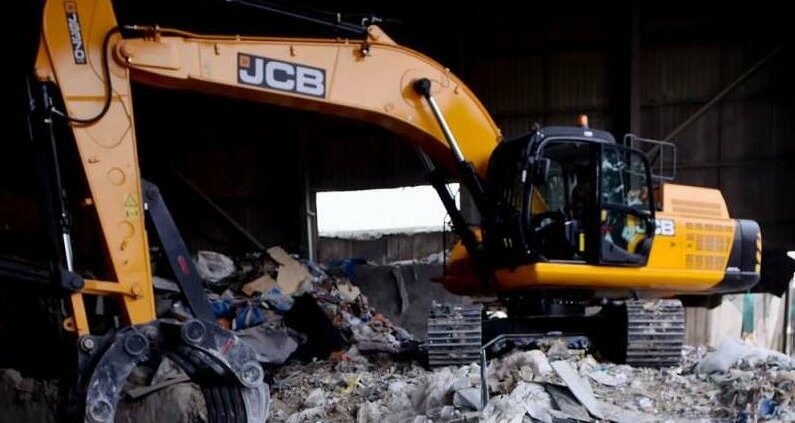 With the JS370 machine sitting on top of the waste, the operator picks up a load of material with the finger grab, allowing the concrete to fall out through the grab’s fingers, making the residual waste easier to sort through. Due to the dusty environment and conditions under which Economic Skips have to work in, the JCB excavator is fitted with a reverse fan on the radiator to help maintain high productivity and minimize downtime. The JCB JS370 excavator has been specially designed to provide strength, high productivity, efficiency, comfort, safety and ease of maintenance. A closed box-section revolving frame, for example, increases strength and reduces stress, while the equipped MTU (210kW) engine is Tier 4 Final compliant. The 37-tonne JS370 joins a number of existing JCB machines forming part of Economic Skip’s equipment fleet, including a 22-tonne JS220 excavator, a JS175 wheeled excavator and a 437 loading shovel.